Professional oral hygiene is the removal of dental tartar and plaque that build up on dental surfaces. It is a reliable and inexpensive way of preventing serious dental issues and possible later consequences – tooth loss, dental implants and prostheses. Prevention is the guarantee of preserving one‘s natural teeth intact. Professional oral hygiene can be seen as a preventative measure – a dental checkup; the ultrasonic scaler, while removing tartar and plaque, uncovers even the smallest interdental spaces where initial traces of dental caries can be detected while there is still no pain caused to the patient. While dental caries hasn‘t penetrated into the softer dental tissues, the affected tooth can be filled in the duration of a single appointment. Poor oral hygiene and untreated dental plaque are the perfect breeding ground for the activity of harmful bacteria – decomposition of tooth enamel which is otherwise referred to as dental decay or caries. 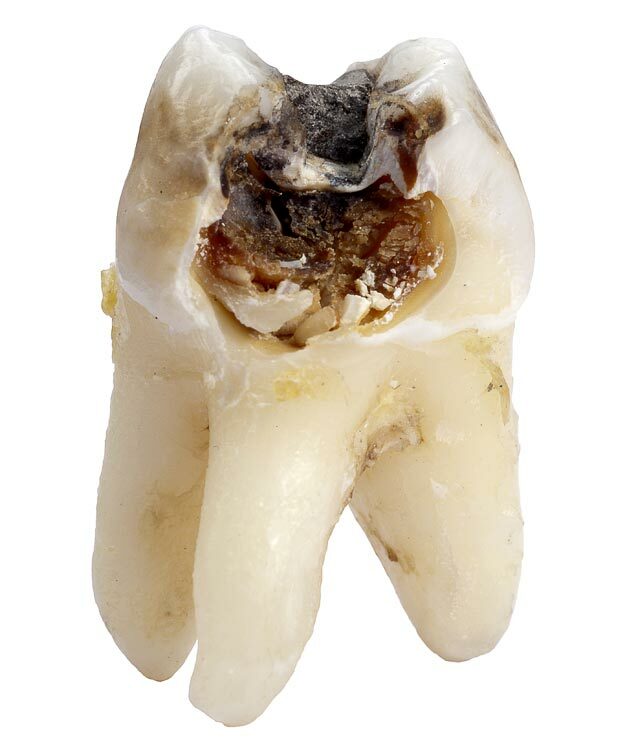 If untreated for longer periods of time, dental caries decomposes the deeper dental tissues, penetrates into the core known as the pulp and can spread via root canals deeper into the jawbone until the infection starts incubating there. This inflammatory process can develop very quickly therefore we recommend even to our „hardiest“ patients not to make use of painkillers but see that they go to a dental clinic with no further delay. It‘s much better a choice to treat the tooth and preserve it. It‘s a far better decision than wait until it becomes untreatable and then change it with dental implants or prostheses. Inflammation of the gums or bacterial gingivitis is the most common form of periodontal disease which is another consequence of improper oral hygiene. The activity of bacteria found in the oral cavity turns plaque, food particles, saliva and mucus into what is known as tartar. If not removed for a longer period of time, tartar builds up not only on dental surfaces, on top of the gums but also beneath them as well. If prolonged, it‘s only a matter of time when gingivitis develops. It is imperative that you see a dental professional and have your teeth examined in order to prevent tooth loss. It‘s worth mentioning that not all dental clinics have the necessary equipment allowing to remove tartar from beneath the gums. 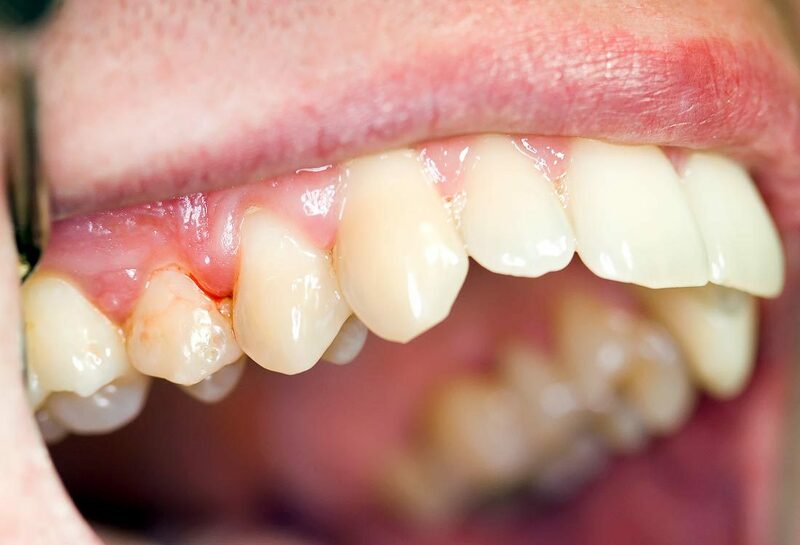 This is especially sensitive when it comes to people living in smaller towns and villages because failing to see a dentist who removes tartar from beneath the gums will result in tooth loss. That is why we offer to always make sure that the dentist or dental hygienist has the necessary equipment to remove tartar from beneath the gums. 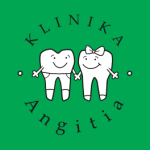 Clinic „Angitia“has all the necessary dentistry equipment for professional oral hygiene therefore you are more than welcome no matter what dental issues you may have. 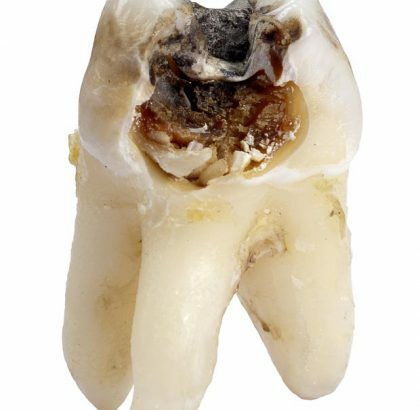 Unremoved tartar, having reached dental surfaces beneath the gums as well as root canals, is not the worst consequence of delayed oral hygiene. This can be resolved by operating on open gums. Normal tooth. A healthy, clean tooth showing no marks of tartar or plaque build up, healthy gums – the result of perfect dental care and professional oral hygiene. Periodontitis. 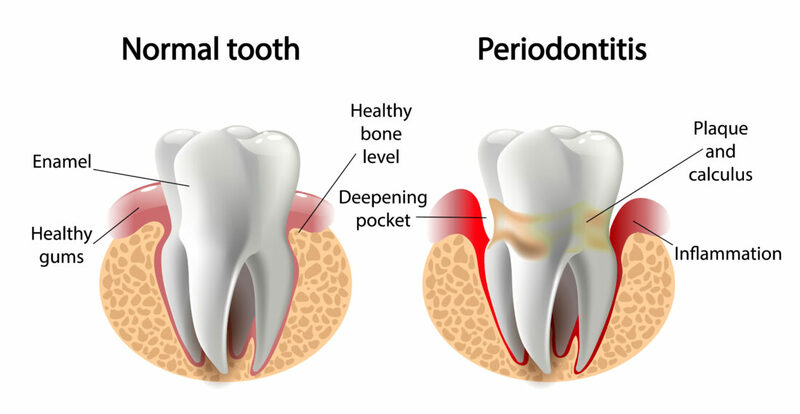 Solidified dental plaque (tartar) on and beneath the gums cause inflamation, so-called „pockets“ start to appear between the teeth and gums; the tooth starts to move and gradual loss appears. It‘s much worse when gingivitis sets in forming „pockets“ and teeth start falling out en masse like dominos: not able to withstand the masticatory pressure, the remaining tooth tilts towards the empty cavity once occupied by a fallen tooth and, being reinforced by chewing motions, now laterally, tilts even further until it eventually falls out as well.